As the man or woman in charge it’s your duty to provide our family with a nice place to stay, like in a tent meant for survival in harsh conditions. Especially if you want to keep them safe in a post shtf situation. After all the key to making it through rough times is to have a safe place to rest your head and prepare for the next day. And that’s why it’s important to make sure you have that “safe place” to take with you when you need it. 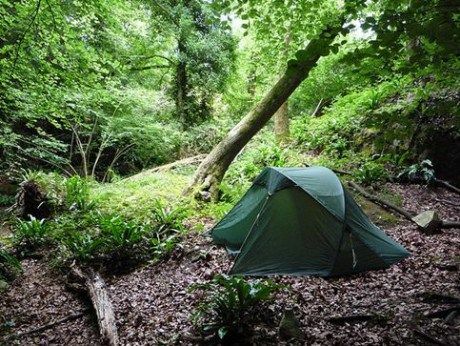 If you're impatient here's an outline of our top suggestions for a family survival tent. For the full explanation of why and how we chose these please read on. Now you’re going to be putting your family inside this thing, trusting it to take care of them and protect them against the elements, so it’s only right to want to make sure you get the right one. If you’ve gone outside at least a few times in your life you know that the weather isn’t always predictable. What looks like a sunny day one minute can turn into monsoon season the next! So ensuring your tent is quick and easy to set up will save you some frustration in what could be a bad situation. However, setup and breakdown time of a tent isn’t something universal that the company can put on the bag. Let’s face it, some people have a tough time operating a new microwave, so we can’t expect EVERYONE to have the same time. This is when the responsibility falls on you to take the time to practice setting up and breaking down tents that friends might let you borrow. And after you practice with a few styles there will be one you’re more comfortable with than others. While you love your family and want to be close to them there’s no substitute for a good night’s sleep, and it’s hard to get one of those if you’ve got 4 people rolling around in a space that was only designed to sleep 2. We’re not going to tell you some yarn about how if you have a family of 4 then get a tent that sleeps 4. Anyone who’s gone by those box measurements has probably been sorely disappointed in the ACTUAL amount of space there is. Typically the space measurements on a tent package are a little skewed. In our opinion there should be specifications on the box like “Sleeps 3 Americans & 1 Ethiopian”. But that’s just our thought. So the best thing to do is take your family to a place that sells the tents you’re looking for, and shove your people in there to get a real estimate of what you can expect. After all it’s your money your spending, you should know if this is going to be a smart purchase, right? 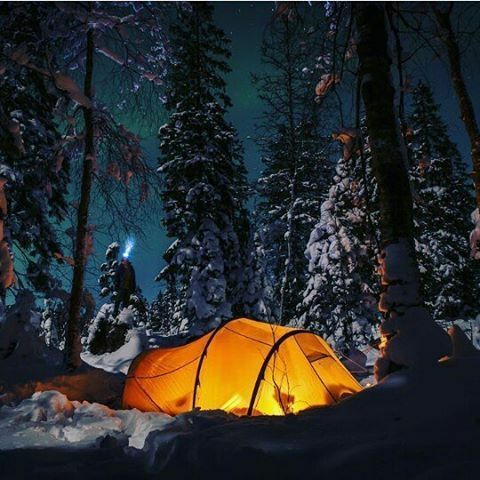 The quality of a tent is usually measured in how many seasons it can perform well through. If possible you want a 4 season tent, these are more pricey but are worth the money many times over. After all what good is having the tent if you can’t use it 25% of the year. But that won’t always be an option for everyone, so we will just say that the closer you can get to a fully functional 4 season tent the better! Affectionately referred to as the “bathtub bottom”, this is a feature that many backpackers and survivalist place above space in their tents. Because what good is having all the space you want if you’re sleeping in 2 inches of water? And don’t be fooled by the fact that the description alone says bathtub bottom, your real tub isn’t a few inches tall, so this material shouldn’t be either. Make sure the bathtub bottom extends several inches up the walls of the tent and is attached with a waterproof seam. Speaking of water proof seams, you’ll want to make sure that your tent is outfitted with all waterproof seams. 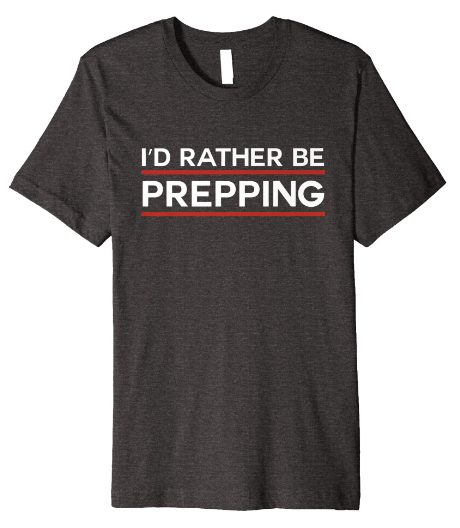 Because I’m sure that it will rain in the future, whether the shtf or not. If the bathtub bottom and waterproof seams aren’t in the budget for your family survival tent then we recommend investing in a few tarps to cover your tent with and to provide a waterproof foundation. This won’t allow much breathability for the tent, and if it floods you’re probably getting wet. But at least it will help in mild conditions. And if you’re really determined to keep a minimalist budget you can invest in seam sealant. This stuff won’t run you much, and the benefits will be well worth the cost! For the A-Frame, this shouldn’t be considered for sleeping a family. You may set one up outside of camp as a punishment or exile spot for one of your kids that isn’t behaving. 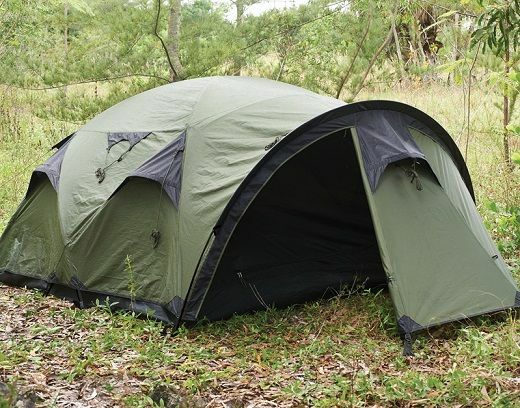 But in general this shape of tent isn’t suited to house more than one person comfortably. This isn’t to say that the A-Frame has no place in your bug out bag or go bags, this would be the perfect tool to have for that scenario. But in the situation that involves your entire family, it’s best to keep everyone together under one roof. Now the Dome shaped tent is a dream come true for vertical space. The semi circle shape allows for a bigger footprint and vertical room at the same time, while still providing the same protection form the elements throughout. However, the dome shaped tents will require more work setting up, as it’s shape is held together by poles and stakes in the ground. So get comfortable with assembling and disassembling this type of tent before making it your go to shelter. Let’s quickly go over this little gem of a step you don’t need to skip when setting up your survival tent, the stakes. If everyone is piled into the tent and holding it down with their bodyweight there’s no chance that a breeze is going to whisk your tent away. But if no one is in it, or just one person Is in it, a strong enough breeze can cause some major problems. So make sure that stakes are a staple in setting up your families tent (pun intended). Now this is what you came for, our suggestions based on the information we've just gone over. We've taken the guess work out and have found the best family survival tents for the price, and now all you have to do is scan through the benefits and choose the one that fits your family's needs :). With more than 35 square feet of space in this tent there will be very few complaints about space. And the fact that it's a Mountainsmith product almost guarantees material and quality satisfaction for the price. The dual doors of this tent are also a great feature to have, this luxury affords you to be able to see from every side with the windows. And in a bug out situation it's important to keep 360 degree visibility at all times. Withstands cold weather well. Average temp inside tent is 15 degrees warmer than outside. Zipper on the front door isn't completely waterproof. This incredibly spacious 9'x7' traditional style tent from Coleman is a gem by any campers standards. Especially with the name Coleman on the tent, we know this is going to be a tough and rugged piece of equipment that can stand up to most anything! The bathtub bottom of this tent is no joke! It might as well be made of a tarp because nothing is going to get through the bottom of this tent, the material is 1000D Polyethylene. And the fact that it comes up almost 4" off of the bottom of the tent adds to the security from flooding in this thing! The ground and ceiling vents built into this tent make it a very comfortable interior. With that kind of airflow it doesn't even feel like you're sleeping inside. Like most Coleman outdoor products this tent is incredibly user friendly, and even those with no experience could take time to learn how to set up and disassemble this tent in a matter of minutes. All of that is thanks to Coleman's pursuit to making the outdoors as accessible as possible. This is truly YEAR ROUND tent, and with the input of many hikers and backpackers this product has only gotten better with time. The Alps Mountaineering tent is the perfect tent to sleep two comfortably year round almost anywhere on earth. With nearly 4 feet of head space inside the tent it's spacious enough to allow for movement without crawling on your hands and knees. While it might not be the biggest 4 season tent ever made, the Alps tent has utilized the unparalleled quality of protection with as much space and convenience possible to bring you this fantastic tent. And what this tent lacks in space it makes up for in amenities, like an area to keep your boots outside the sleeping area but still under the covering of the tent. Also separate mesh storage for both users. Price is a bit much, but the tent is well worth it in terms of how long to expect to get use from it.